Crayola Play 'N Fold 2-in-1 Art Studio $19 + FREE Store Pickup (Reg. $40)! You are here: Home / Great Deals / Crayola Play ‘N Fold 2-in-1 Art Studio $19 + FREE Store Pickup (Reg. $40)! Crayola Play ‘N Fold 2-in-1 Art Studio $19 + FREE Store Pickup (Reg. $40)! Hurry for this next deal! You can snag this awesome Crayola Play ‘N Fold 2-in-1 Art Studio marked down to $19 (Reg. $40)! 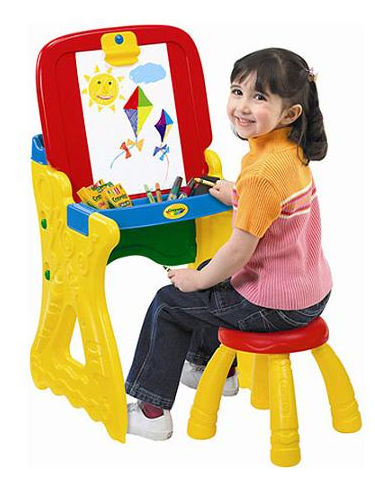 Perfect gift idea for your budding artist!